Regardless of you size, fitness levels or flexibility abilities, yoga is for everybody. Start your personal journey towards wellness and self-discovery through the practice of yoga. Virabhadrasana II or Warrior II pose is a classic asana with many benefits. It's a good way to stretch and tone the legs, thighs, stretching the arms and bringing alignment to the back. 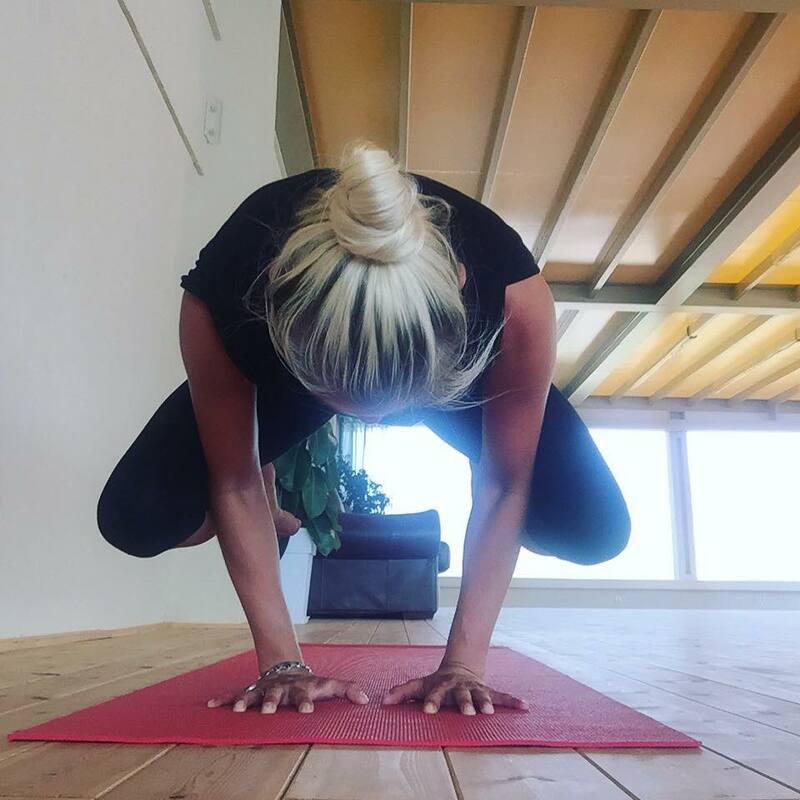 On a mental level, this asana is a fantastic confidence booster, connecting us with our inner strength. 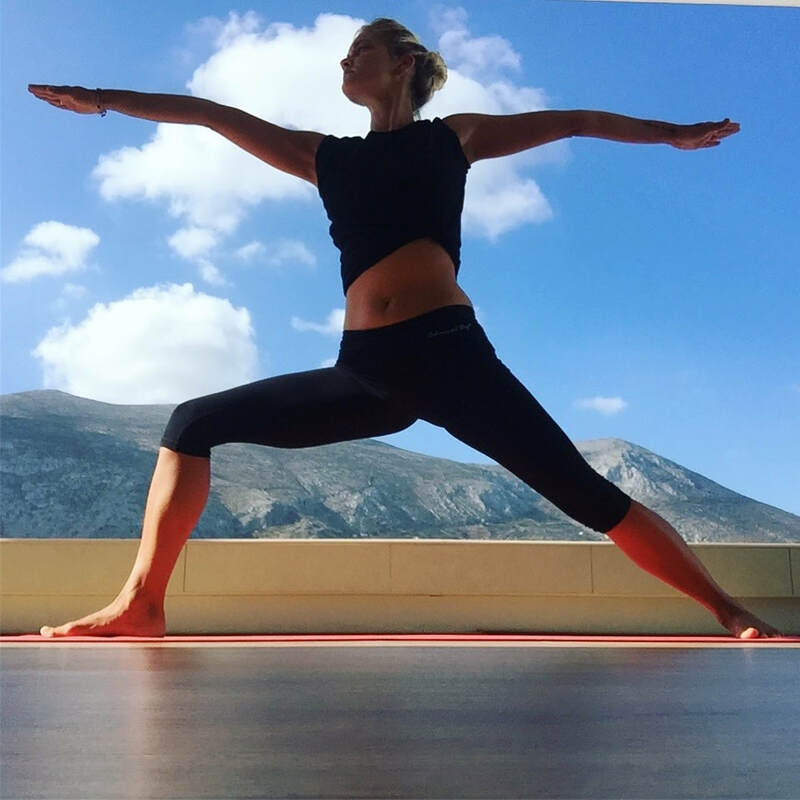 Viparita virabhadrasana or reverse warrior is an empowering asana, helping us open up to what is before us, feeling balanced and secure within our own body, mind and soul. The warrior is not afraid to lean backwards, knowing that they will always move forwards with confidence and grace . A great stretch to the legs, hips, thighs, the waist and the torso overall, also providing flexibility to the spine. Find the warrior within you! Purvottanasana or upward/reverse plank is a great asana to strengthen the arms and abdominal muscles. It also works on the heart centre, anahata, helping release any negative emotions or tension. Matsyasana or fish pose is a great asana for stretching the throat, lungs and the abdominal muscles. It also helps relieve menstrual cramps and it activates the throat and heart chakras. Vasisthasana or side plank is a great arm strengthening pose which also helps tone the abdomen and the buttocks. It improves concentration and focus, and it has an energising effect on the body and the mind. Halasana or plow pose provides a deep stretch to the back and improves flexibility of the spine. It has a lovely, calming effect on the mind and stimulates the digestive organs. Adho Mukha Svanasana or downward facing dog is a great overall stretch of the body and it also strengthens the body and improves overall physical balance. It also has an energising effect on the mind as it is an inversion. Parsva balasana or thread the needle pose has a calming effect on the mind, releasing nervous tension. It stretches the neck, back, the arms and the shoulder blades. This sequence has been designed to energise the body and the mind. It can be done at any point in the day and it tales approx 20 minutes. The moon salutation helps us channel the energy of the moon. It takes us on an inward journey, looking within whilst going into the different asanas. This salutation is cooling, and provides great benefits for the mental, physical, emotional and spiritual body. Uttanasana or forward bend pose is a great asana for energising the mind. It stretches the legs and provides flexibility to the spine. Forward bends also boost blood circulation and relieve nervous tension, including symptoms of stress and anxiety. Utthita Parvakonasana or extended side angle pose, a great asana for toning the legs, lengthening the spine and stretching abdomen, lung, thorax, shoulder and legs. On a mental level, this asana is empowering, helps to boost confidence, has a calming effect and it’s a great way to open the heart and connect with our emotional self. Staying in the pose for longer helps build endurance and muscle strength. Trikonasana or triangle pose is a balancing asana and a great stretch for the legs, back, arms and sides. Trikonasana is all about finding the balance on our feet, standing strong and looking up, feeling confident and empowered. Ardha Chandrasana or half moon pose is an intense side stretch and a balancing pose. This asana is beneficial for strengthening the back, legs, hips and abdomen. It also improves flexibility to the spine. Half moon pose has a calming effect, helps with concentration and focus and relieves stress. Supta virasana or reclined hero pose is a deep stretch pose, particularly for the thighs. It energises the legs and improves digestion by stretching the abdominal muscles. This asana also helps relieve menstrual cramps and has a calming effect on the mind, helping with headaches and migraines. 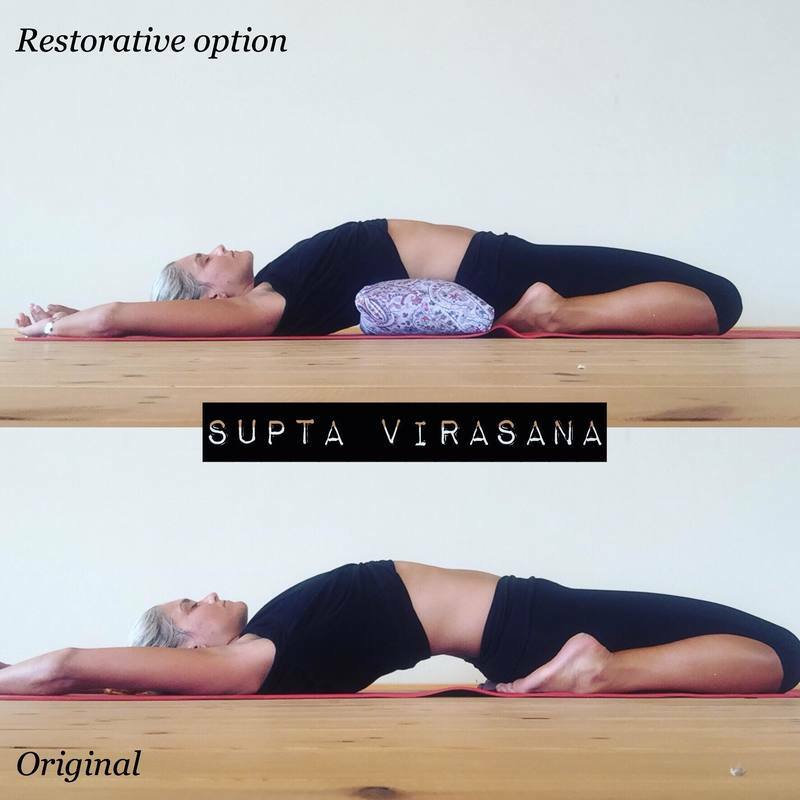 As a restorative option, use a bolster under the lower back arch. It provides support for the back whilst still being able to feel the amazing benefits of this asana. Mountain pose is the foundation for all the standing yoga poses, and it also brings the body into correct posture and alignment. Click on the step by step guidance to find out about the dynamic variations of this pose. Balasana or child's pose is a yoga asana which requires little physical effort, but it has many therapeutic benefits. There are different variations for balasana, each one giving the mind space to let go and focus on the breath, the physical, mental, emotional and spiritual bodies. Vyaghrasana or tiger pose is an empowering pose, providing flexibility to the spine. This pose tones the legs, buttocks, arms and abdomen. It is energising and a balancing pose. Coordinate the movements of this asana with your breathing. It can also be done in a more dynamic sequence. Start your day with an open heart and a flexible mind! This stretch is great for warming up the hips as well before starting the asana practice. Vrksasana or tree pose is a balancing asana, starting from Tadasana. It creates a strong foundation on both feet, and it connects with the first chakra, Mooladhara, the ground chakra responsible for stability in life. 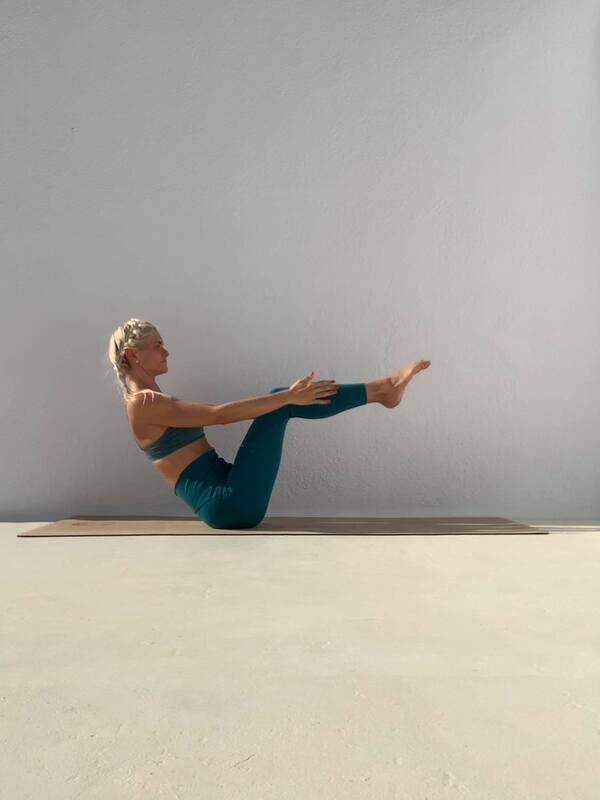 On a physical level, tree pose strengthens and tones the legs, and on a mental level it helps with focus and concentration and most importantly becoming centred and balanced within. Bakasana or crane pose is an arm balancing pose that involves balance, concentration and activating the arm muscles. This pose is great for strengthening the arms and toning the abdomen. It also creates a balanced, centred state and energises the mind and body. Parivrtta Janu Sirsasana or twisted head to knee pose is amazing stretch to the hips, thighs and legs. It releases tension from the lower back, improves flexibility of the spine and it helps improve digestion. On a mental level, this pose has a calming effect but energising the mind at the same time because the deeper we go, the more we release. Breathe in and lengthen the spine, exhale and twist, letting yourself slowly sink in deeper without resisting. Utthan Pristhasana or lizard pose is an asana that helps release tension in the legs and opens the hips. Lizard pose is also good for releasing tension and stress and improves flexibility for the spine. Virabradhasana lll or warrior lll pose is a powerful asana for bringing mental focus and clarity, physical and emotional strength and grounding, helps align the spine, improves balance and stability on your feet...It’s a great asana to practice in the morning to get you ready for the day ahead feeling confident, focused, determined and action oriented and balanced. 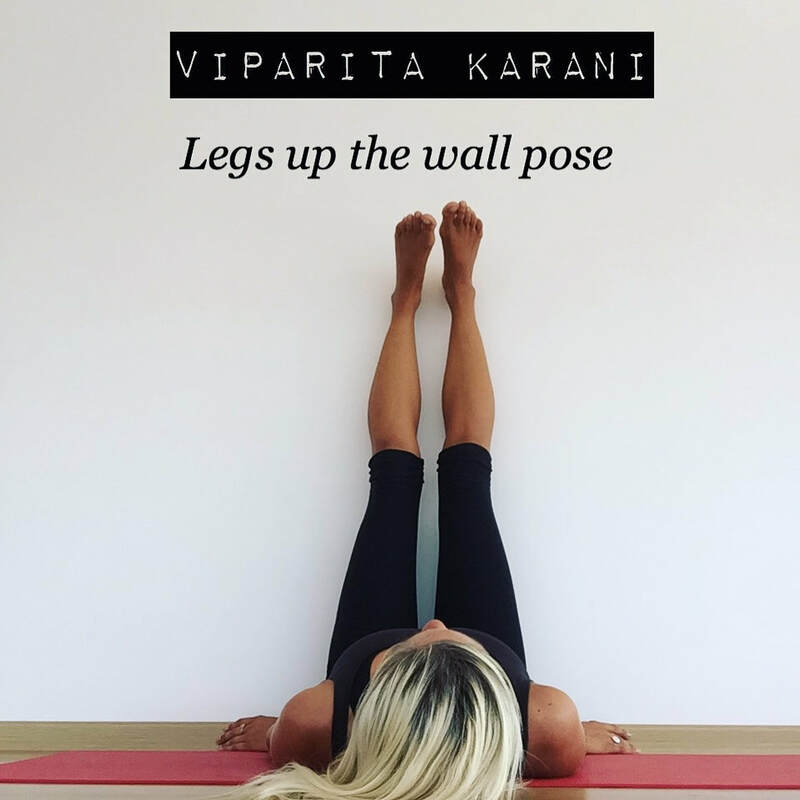 Viparita karani or legs up the wall pose is the perfect asana to do just before bed time. It relieves tension from the legs and the feet, soothes the nervous system, increases circulation, helps with lower back pain and calms the mind. Tip toe balancing poses require a great deal of concentration and focus. It's important to find a focus point either externally or within, using the breath so you can keep centred. Our breath helps us keep steady, so bring your awareness to your breathing. Practicing any kind of yoga poses requires us to trust ourselves, to work with the body and to let go and surrender. *Every time you attempt a pose like this, be sure to stretch your toes first. When you think of inversions, don’t just look at handstands and headstands. There are many inversion variations that are more gentle for everybody to try if you are not yet comfortable to turn yourself upside down completely. Also keep in mind that inversions can bring to the surface different feelings such as anxiety and fear, because the shift created can release some blocked emotions or tensions we left deep in the body throughout the years. But it can also bring excitement and complete joyful state. So be kind and gentle when practicing inversions, especially for the first few times. *Try to avoid inversions if you have a cold, infections, high blood pressure, heart conditions or if you are menstruating. Check the contraindications beforehand. ​How do you start your day? Doing a couple of sun salutations every morning before you begin your day will energise you, bringing balance to your body, mind and soul. Yoga props can help us on our yoga journey by aiding us to go deeper in a pose and by proving support to our body when going in a pose. There are many benefits that come with each prop and knowing how to use them can really make your yoga practice a nice experience. Learn all about the yoga props and how to use them. Uttana Shishosana or extended puppy pose is one of my favourite asanas to stretch the shoulder blades, arms and lengthen the spine. It also improves flexibility of the spine and has a calming effect on the mind. Badha Konasana or ​butterfly pose provides a great stretch to the legs, especially the inner thighs. It’s an intense stretch and a preparatory pose for poses which require a deep extension of the legs. It opens the hips and releases tension from the lower back, providing flexibility to the spine. Bend knees and bring soles of the feet together. Hold the feet with both hands and place elbows near the gap under your knees. Inhale and extend spine, exhale and lean forward, opening the feet like a book. Breathe in and elongate the spine, breathe out and lean forward, engaging the core and bringing the lower back forward. Navasana or boat pose gets its name because a boat is will always go through the motions of unsteadiness due to waves. This pose requires us to engage the abdomen, our core space of balance. Things might get shaky, but building strength and balance requires patience and practice. Navasana helps tone the abdomen and improves focus and concentration. 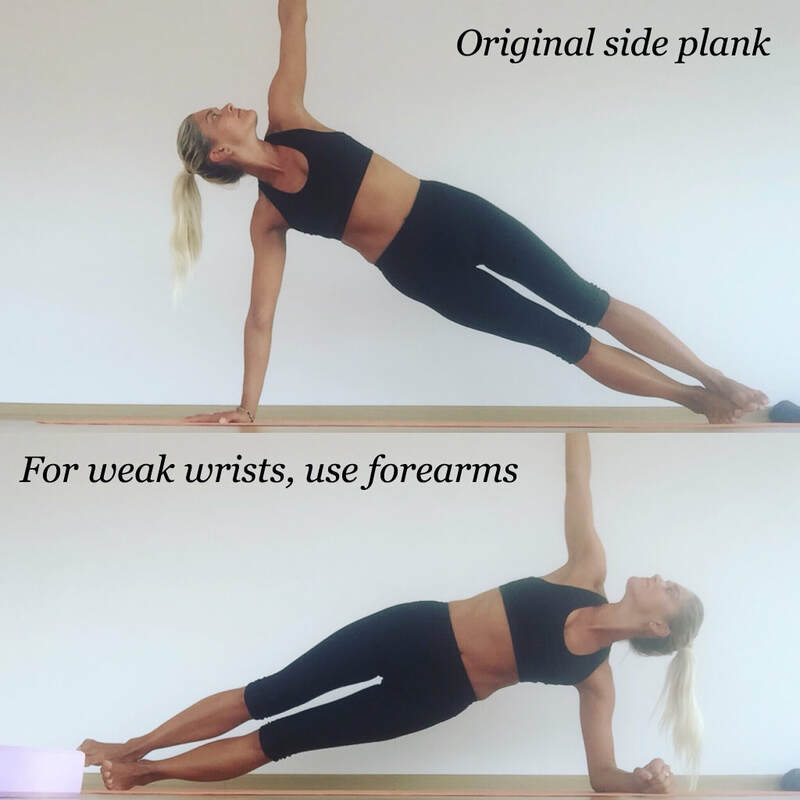 A variation of poses which help build arm strength. These asanas help us tone the muscles whilst improving balance and mental clarity. A strong core will help us gain a stronger balance within the physical body. The yogic bicycle is a great technique to tone the abdomen and waist. It also improves flexibility of the spine and provides a nice stretch to the shoulder blades. Lie down on your back with your knees bent and lifted off the ground. Lift your top part of the torso of the mat and place your hands behind your head, fingers together. Bring your right elbow to your left knee and extend your right leg; then switch to bringing your left elbow to your right knee and extend the left leg. Continue with a sequence of 10, using your breath and engaging the core. This fingers to feet upward forward bend pose provides a great stretch to the arms and legs. It also helps tone the abdomen and increases flexibility of the spine. It is an energising pose and helps relieve nervous tension, stress and symptoms of anxiety. Prasarita Padottadasana or wide-legged forward bend pose is an energising inversion pose, bringing fresh supply of blood to the brain. It stretches the legs, improves flexibility of the spine and releases headaches and nervous tension. *Please check the contraindications for each of the poses. If you are pregnant check with your medical practitioner before proceeding. If you are menstruating, it is best to avoid the inversion poses.